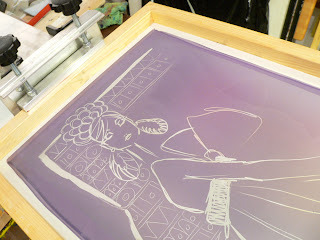 Screen for final layer for the paper print. 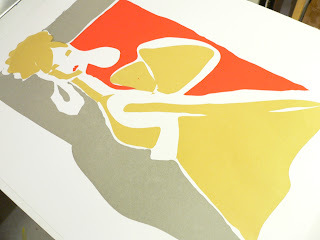 Paper print in process, final black layer just needs to be added. 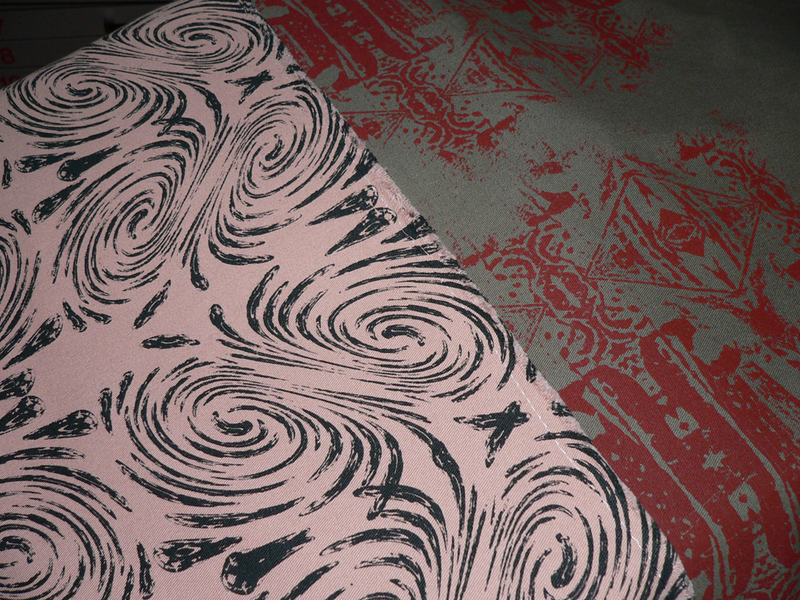 So yesterday I spent a good part of the day in the print studio (yeah! 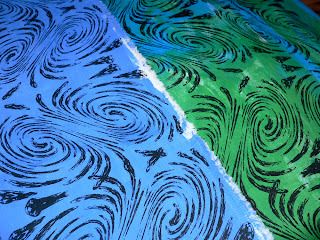 ink dirtyness) printing some new images that I burned to screens last month that have just been waiting for me to use. So far so good. I've been testing printing on different papers to see which will give me the best look and quality for prints to be added to the shop. 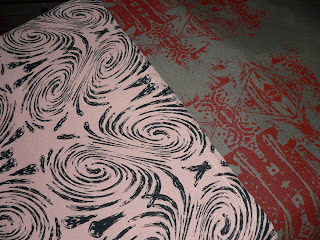 I've also started printing different patterns onto textiles that will make their way into my fabric products. Always busy, busy, busy, just the way I like. All creative funess. Keep checking back this week and next for some fun little surprises coming up for the holiday season. I promise.